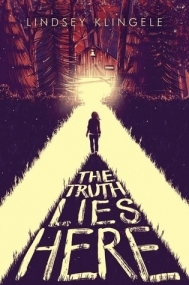 In small town Michigan, Penny, an aspiring journalist, teams up with the nerdy boy-next-door and the town’s star quarterback to find her conspiracy theorist father after he goes missing and several other townspeople turn up dead in the woods. The deeper she digs, the weirder things start to get. Townspeople repeat the same phrases—verbatim. Men in black suits stroll around Main Street. Chunks of her memory go missing. Pretty soon, Penny’s research leads her to the long-ago meteorite crash in Bone Lake’s woods, and she’s going to have to reconsider her definition of “real” if she wants answers. . . .